Hi there, my darlings! 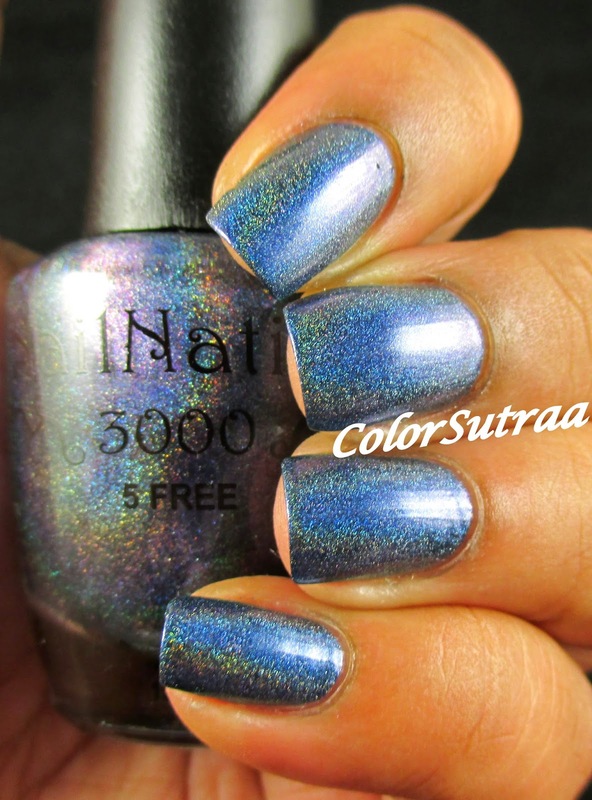 Today, I have lots more NailNation 3000 beauties to show you! And this post will showcase a myriad of limited editions, customs and single pours. Since Maria is ALSO having a couple of fantastic promos for Veteran's Day, now is the time to knock out some of these from your wishlist! Before we get to swatches, let's talk about the formula and application of these polishes. All of the polishes, whether linear holos or holo glitters, applied fabulously--smooth and even. The holos were just the right consistency, not too thick nor too thin and I noticed no patchiness or streakiness to mar their beauty. And I had no trouble with the glitters--no unnecessary fishing, no clumping. All the swatches are 2 coats by itself, unless specifically mentioned otherwise. Now, without any further ado, let's take a look, shall we? Cafe au Lait is one of two customs created for the blogger, The Polished Princess--a dark, dark brown bordering on black polish with a linear holographic finish. The second custom for The Polished Princess, Restless Nights is a smoky, deep blue polish with a strong linear holographic finish. I personally loved this polish! So gorgeous! 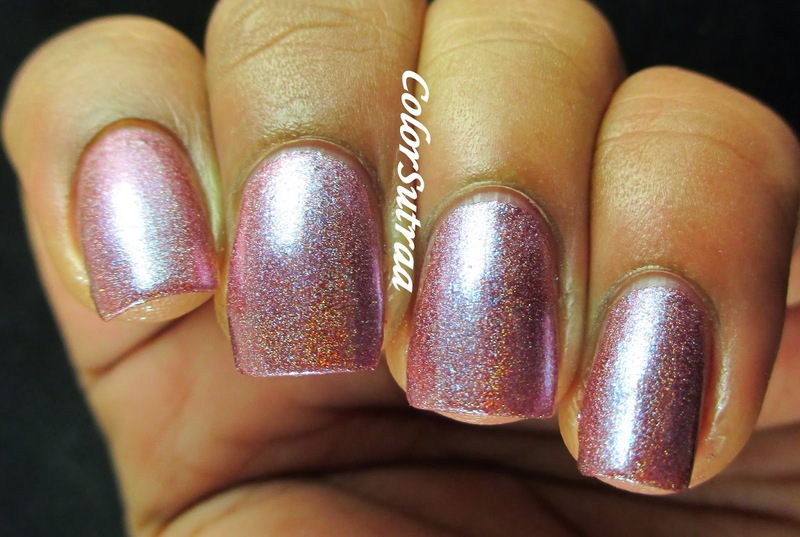 The Holo Hippie is a pale, pale pink semi-sheer polish with tons of holographic shimmer and accented with small blue and dark pink glitters. This was made to be a topper but I layered 3 thin coats by itself, plus one thin coat of ellagee's Fast Dry Topcoat and it was perfectly opaque and oh-so-sparkly! This is a single-pour, one batch creation that won't return once it's gone so don't miss out! No Really LET IT GO is Maria's nod to the Disney's Frozen--a shimmery ice blue polish with tons of holographic sparkle and accented with small, metallic blue glitters. The swatches show three thin coats, topped with one thin coat of ellagee's Fast Dry Topcoat. If you loved the movie, this is a must-have! Enigmatic & Holo is true to its name--I had the hardest time describing this elusive chameleon. I want to say its a shimmery mauve linear holographic polish with a noticeable blue sheen. The swatches below are 3 thin coats by itself. An enigma, a beauty and limited edition! 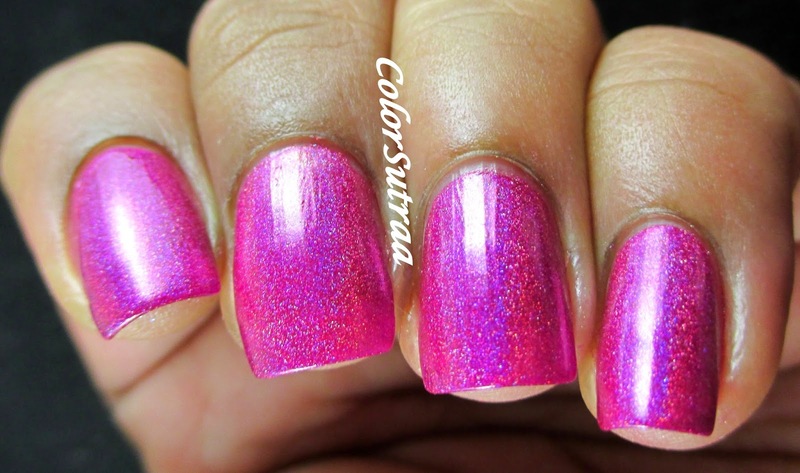 Last but not least, my favorite from this review package, Dance The Night Away is a bright, hot pink-fuschsia shade with a strong linear holographic finish. I absolutely ADORE this polish! --BUY 3, GET 1 FREE. No code necessary, on all orders over $30. Valid from 11/11/2014, 2 am EST to 11/12/2014, 2 am EST. --From 2 pm to 5 pm EST on Veteran's Day, 11/11/2014, take 35% off your ENTIRE ORDER throughout the store. 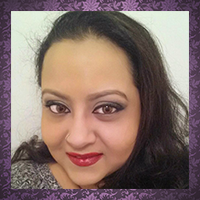 Be sure to follow NailNation's FACEBOOK PAGE, TWITTER and INSTAGRAM for all the latest news and updates! I absolutely LOVE marias polishes!! !